The mandolin chords are included. This is the best known Dublin song of all time. That's not to say it's the most sang or played song at a gig or session. 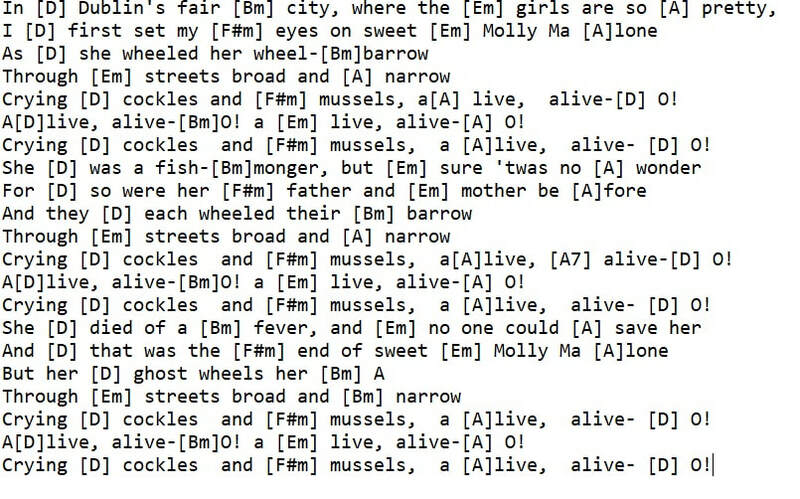 The most played Dublin song at gigs is The Rare Auld Times followed by The Ferryman, both of which were written by the same man, Pete St. John. 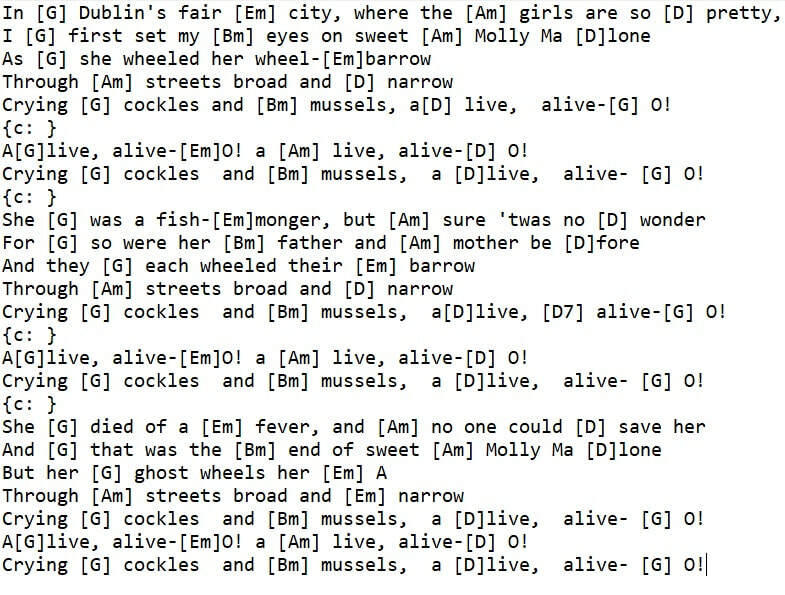 This version of Molly Malone is in the key of G. Included are the banjo / mandolin letter notes. The letter notes suit the first version in the key of G. Also, I have given the music in the key of D, a low version and a high version of D.